What is Going on in the Czech Republic? YESTERDAY we wrote about mysterious moves in the Czech Republic, whose presidency is sponsored by Microsoft. We’ve already shown this presidency peddling Microsoft Office, not to mention its role in helping OOXML. Now it’s promoting a back door to software patents in Europe. 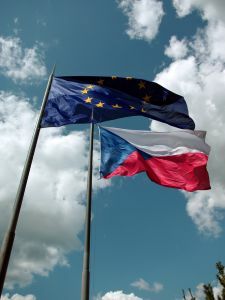 Czech Deputy Prime Minister Alexandr Vondra, responsible for EU affairs, has pledged to work towards devising an EU-wide Community patent. Describing the existing system as “fragmented and inefficient,” he said Europe’s intellectual property infrastructure is stifling innovation and holding back progress on the Lisbon Agenda. One of Klaus’ positions is as a skeptic of the European Union, on the grounds that it’s a “failed institution” which “reduces Czech sovereignty.” He is also a strong believer in free markets and Adam Smith’s “invisible hand.” On the other hand, he is apparently against sovereignty of countries when it comes to awarding patents and doesn’t see any conflict between patents and the free market. He has some other rather curious positions as well.